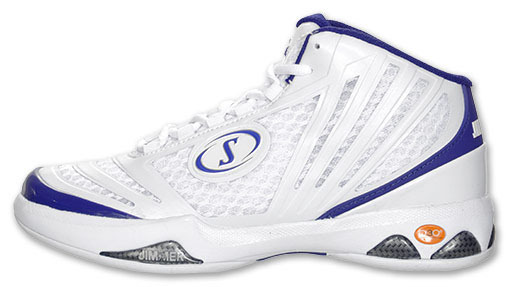 Jimmer's logo appears on this Kings-inspired colorway of Spalding's new hoop model. 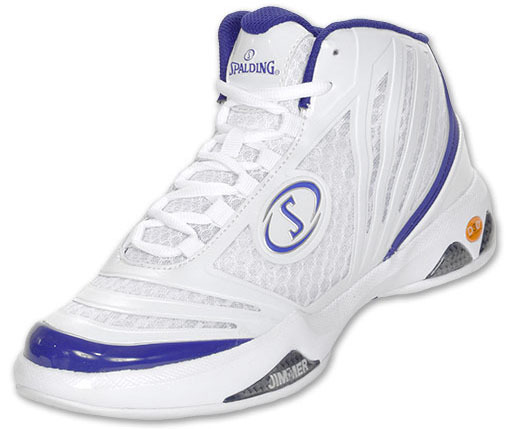 Those curious about the Spalding sneakers Mario Chalmers has been wearing in the NBA Finals can get a closer look here. However, this particular colorway of the Slash was inspired by one of the brand's other endorsed athletes - guard Jimmer Fredette of the Sacramento Kings. After the 'Away' colorway hit retail about a month ago, this Kings-flavored 'Home' pair arrives in a clean white-based look with purple highlights throughout. If there's any question about who the shoe is linked to, Jimmer's logo appears on the heel and front D3O cushioning tab. You can pick up Jimmer's 'Home' Spalding Slash for $90 at Finishline today.